We also have Birthday Party Games to match your fun with your themes! Birthday party themes can take a lot of work out of planning a birthday party. Choosing a theme makes decorating, games, and even the food much easier to pull together. From pirates to princesses and many more in between, we’ve put together themes that will create a wonderland for your child. They can be transported back to prehistoric times with a Dino Party, transformed into royalty as a Princess or a Queen, or participate in the Winter Olympic Games. Each theme has food ideas and game suggestions so you don’t have to plan out anything except a timeline for putting on a fabulous party for your birthday child. When choosing a birthday party theme, involve your child. Watch for the clues that say “you’re the best mom ever!” when you suggest a theme (like their eyes lighting up at the thought of being a swashbuckling pirate). A theme can be tailored to your budget with incredible results no matter how much you spend. 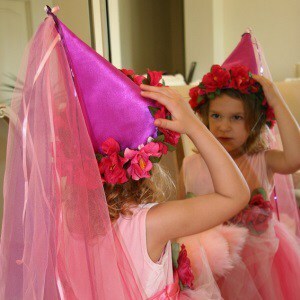 What ever birthday party theme you choose, make sure to take lots of pictures and most of all have fun! That saying about “they grow up so fast” is true. Birthday parties are the milestones to enjoy along the way.